Head into Australia’s incredibly surreal red centre on this fascinating Adelaide to Alice Springs Tour with Uluru. The tour takes in monolithic landmarks, picturesque canyons, and ancient scenery. Over the course of six days, you’ll learn about the natural history of this region and the rich cultural heritage that pervades it. Camp under the stars to marvel at the stunning night sky under the Milky Way and drink in the magical change of colours of Uluru at sunset. This tour from Adelaide to Alice Springs is an unforgettable experience in Australia’s epic Red Centre. Please note: this tour does not operate December 25th and January 1st. Please note: If you want to finish the tour in Uluru we can drop you off at the Ayers Rock Campground Reception at 1:00pm. There is a free shuttle bus to the airport from there. Please let us know if you wish to be dropped off at the Campground when you book. We do not carry children under the age of 11 years old. Children traveling under the age of 16 years old, will need to upgrade to a private room. 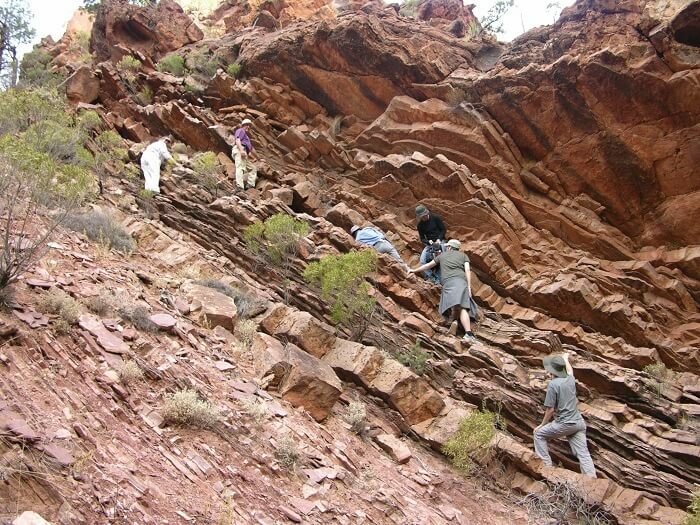 Some hikes involve steep climbs in extreme heat during summer. A reasonable level of fitness is therefore required for this tour. We do not recommend this tour for travellers over 60 years, however contact us if you consider yourself young at heart and still wish to join the tour. Sleeping bags can be hired for $30 (paid in cash on the morning of the tour before departure). Please note: accommodation upgrades must be booked and paid for at the time of booking. Please contact us to check availability. Comfortable walking shoes, 3L water bottle (2 x 1.5L), insect repellent, sunscreen, weather appropriate clothing (including a rain jacket and a long sleeved cotton shirt), swimmers, towel and hat. Travel from the rolling hills of Adelaide into the very heart of Australia’s magnificent Red Centre on our 6 Day Adelaide to Alice Springs with Uluru. Our 6 Day journey will take you to experience the traditional outback experience of sleeping under the stars in swags as you travel through the Northern Territory. 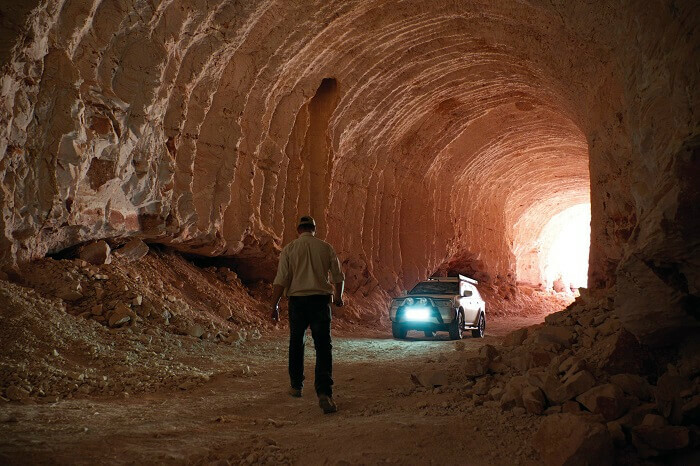 Visit the Opal Capital of the World in Coober Pedy and explore the Umoona Mine and Museum, to learn the fascinating history of this region. 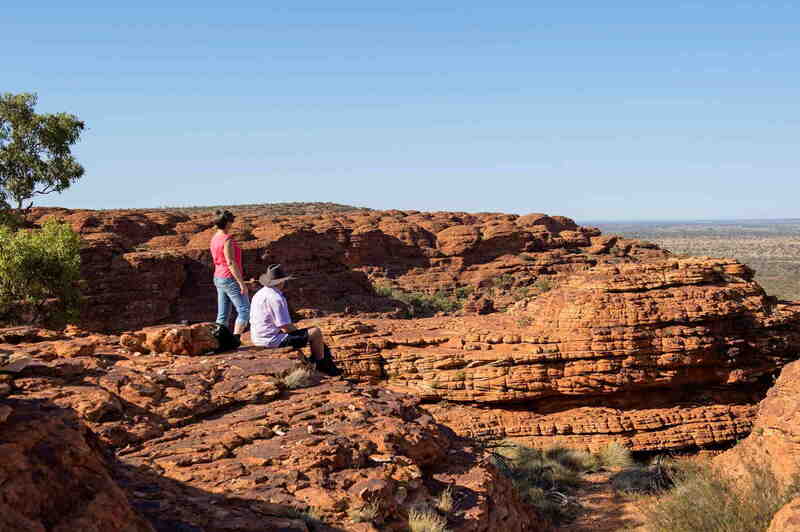 See some of the most iconic landmarks of the Northern Territory on guided walks around Kings Canyon, Uluru and the ancient rock formation of Kata Tjuta. Witness the spectacular sunset over sandstone monolith of Uluru and immerse yourself in the local Aboriginal culture and history. 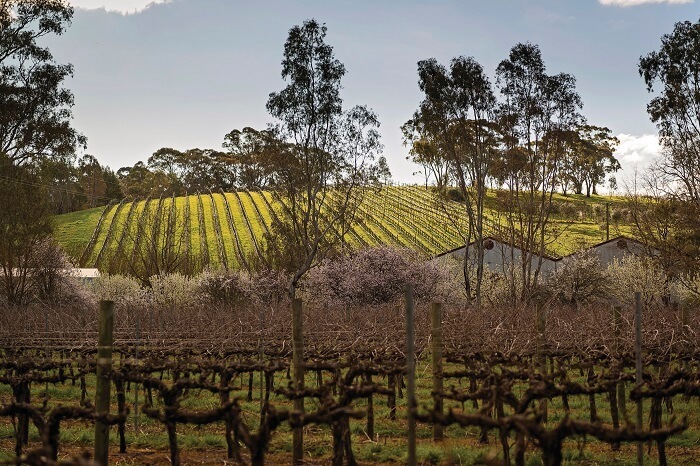 On the first day, we’ll start by taking you through the lush vineyards of the Clare Valley. After that, it’s on into the Outback, passing through the charming historic town of Melrose, which acts as a gateway to the Flinders Ranges. 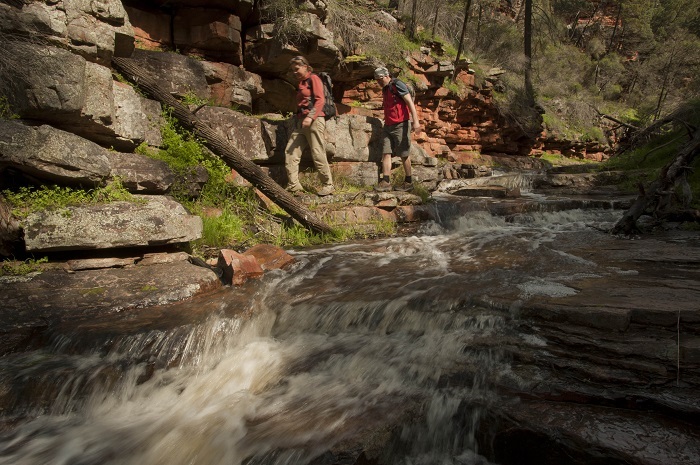 We’ll take a walk through Alligator Gorge and bed down for the night in the middle of the Southern Flinders Ranges. Today, we’ll make our way to the Opal City of the World, Coober Pedy, where you can spot native wildlife and marvel at the surreal landscape that characterises this part of Australia. We’ll take you on a guided tour of an underground mine, where you can learn more about the region’s history, and a visit to Josephine’s Kangaroo Orphanage. Overnight, we’ll stay in a bunkhouse underground, just like the locals. We’ll start the third day by driving up the picturesque Stuart Highway, stopping along the way at various hotspots. We’ll end up at the stunning Watarrka National Park where we’ll camp overnight. It’s an early start today, as we head out to explore Watarrka (Kings Canyon). 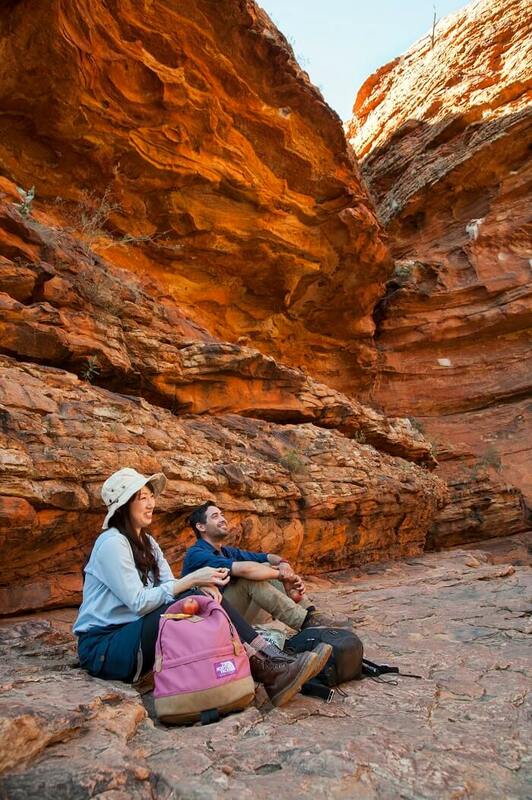 You’ll have the chance to discover the soaring sandstone walls and take the Canyon Rim Walk, checking out the Garden of Eden and local Aboriginal life along the way. When lunch is over, we’ll make our way to Uluru, one of Australia’s most iconic landmarks. Here, we’ll visit the Uluru Kata-Tjuta Aboriginal Cultural Centre, experience the sunset over the huge rock and camp for the night under the stars. After breakfast, it’s on to Kata Tjuta for sunrise. We’ll take you on a hike to the mesmerising lookouts that surround the landmark, and visit the Valley of the Winds. Our guide will tell you all about the Aboriginal way of life in this part of the country before we head back to the campsite. 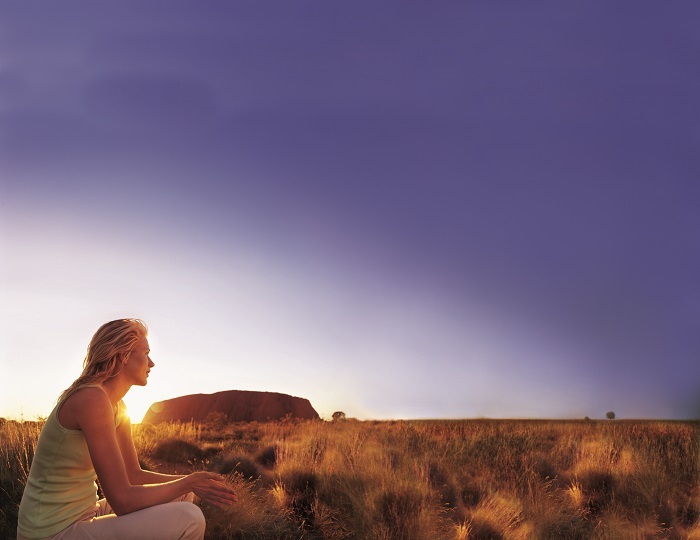 Optional activities: Camel Rides, Helicopter Flights, Segway Tours and Skydiving in Uluru. After breakfast, it’s on to Kata Tjuta for sunrise. We’ll take you on a hike to the mesmerising lookouts that surround the landmark, and visit the Valley of the Winds. We’ll kick things off with a walk around the base of Uluru. 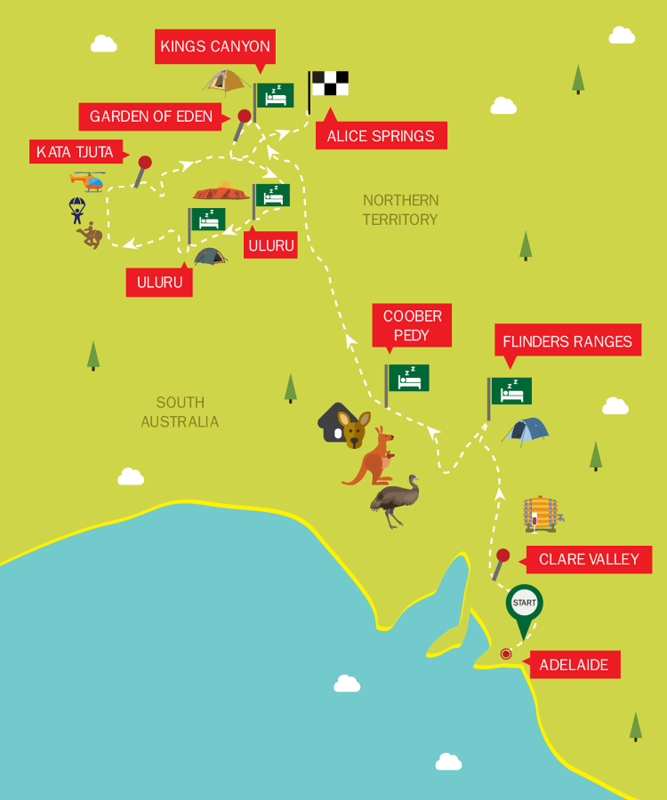 You’ll pass through majestic woodlands and clay pans, spotting native wildlife as you go. In the afternoon, we’ll start to make our way to Alice Springs, where the tour from Adelaide unfortunately comes to an end.